Do you remember how popular the "push-to-talk" feature was around 10 or 15 years ago when feature phones ruled the market? If you are a business customer, you quite possibly could could still be using it to this day. 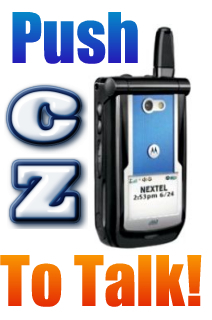 Sadly, Sprint will be shutting down the Nextel network that plays host to goo-gobbles of customers using legacy push-to-talk phones. Apparently, Sprint is pushing their new Direct Connect push-to-talk phone devices that will run on the regular Sprint network. All the while, AT&T push-to-talk service is rolling strong, and they will be marketing a new enhanced version with events occurring in 27 cities, including Kansas City and St. Louis, Missouri. AT&T will be knocking out a huge event called the "Field Force Automation Forum" on October 2nd in STL-MO, and October 25th 2012 in KC-MO to introduce the newly enhanced service. Check out the KC event registration page, and the St. Louis event registration page by clicking the links. Push-to-talk is a convenient and often integral part of business communications, offering a much-needed method of 2-way conversations similar to a walkie talkie radio. It is heavily used by construction site workers, engineers, police officers, service and repair professionals, event planners, taxi drivers, and more. The big benefit is the ability to talk to a group of people instantly, without waiting for someone to answer.